Biostudy Solutions specializes in study design and pharmacokinetic/biostatistical consulting services related to BA/BE testing. Services also include in-vitro BE evaluations and sample-size determination/statistical oversight for clinical endpoint BE trials. The BSS staff has helped hundreds of companies with their generic and new drug submissions to US and foreign regulatory authorities. 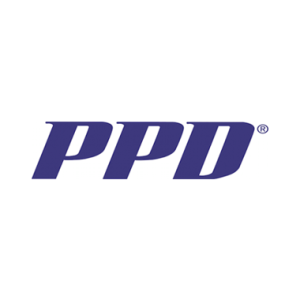 With its depth of experience and vast network & partnerships with pharmaceutical industry professionals, the company is uniquely positioned to provide its clients with a complete solution to their Biostatistical and report preparation needs. 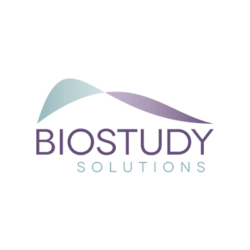 Biostudy Solutions has assembled a core group of experts, matching niche skill sets with extensive industry knowledge. The end result is dependability, foresight and quality. The organization values transparency, timeliness, attention to detail and regulatory understanding. We view your trust in us and our responsibility as one in the same. Biostudy Solutions regularly delivers presentations at industry events worldwide. Take a look at our most recent talking points and insights on areas that impact the pharma industry. For more information, visit biostudysolutions.com. Modoc Research Services is a niche clinical research organization (CRO) and independent consulting group to the pharmaceutical and biotechnology industry. Established in 2005, Modoc is a NC corporation based in Wilmington, NC. The company includes a dynamic team of experienced professionals with extensive clinical research and therapeutic experience. Modoc’s mission is to provide our clients with cost-effective, time-sensitive clinical research services. Modoc Research develops long-term working relationships with clients, based on an ability to offer an array of services based on the needs of clients. Modoc recognizes the need to reduce costs of clinical research especially during early-phase development. Modoc fulfills this need by providing superior performance at competitive costs for niche CRO services such as project management, study management, site management, clinical monitoring, auditing and clinical writing with an emphasis on early-phase oncology trials. The company demonstrates that cost reductions can be achieved without compromise to quality of performance during critical periods of clinical development. Combining the use of technology with streamlined business operations and a network of clinical research professionals, Modoc is dedicated to serving the needs of our clients by providing the highest quality clinical trial support services for complex clinical trials. Modoc’s professional staff is committed to delivering excellence, efficiency and quality with each clinical research project. Modoc is a company that strongly supports a healthy work-life balance, encourages independent thinking, values ingenuity and fosters the achievement of individuals while striving to deliver a quality product to its clients. Modoc Research is a certified Woman-Owned Business Enterprise.